May 8: 5 POWER Lessons From 5 Leaders Who Made History On This DAY! Having the tears of happiness flow down through the eyes for one’s own achievements, is a dream of each of us. We smile easily but making our eyes wet, with tears of joy is not easy at all. Read the stories of 5 legendary personalities who made themselves proud and gave themselves a chance to cry out of happiness because of their own victories. We have too many sources to help us when we are in need. We‘ve also got sayings and quotes, questions and solutions, inspirational talks and instances from the lives of various achievers to learn from. The whole world talks when we are in need of support, help and direction. But always remember, we got to follow only one path, one direction, one preacher and one idea to develop and empower ourselves. It is essentially important to welcome all the ideas, teachings and experiences; listen to them and then employ your mind and heart to decide what’s near to you, what really helps you and what would bring true success into your life. Encouraging you and holding yourself responsible would make way for serious and intense positive changes to take form. 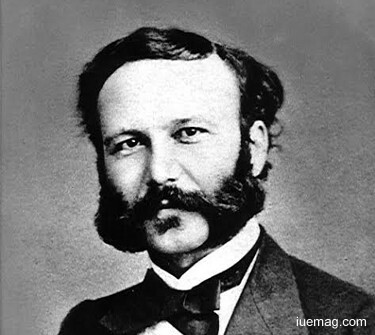 Henry Dunant became his own mentor. The Swiss businessman and social activist analyzed what the entire world around him told and chose to formulate a solution all by himself. The first recipient of the Nobel Peace Prize founded the Red Cross. The passionate humanitarian published his experiences in a book, A Memory of Solferino, which inspired the development of the International Committee of the Red Cross and behaved as a revolutionary. A start must happen somewhere, somehow and sometime. It is not an option! A start is indeed difficult. Framing the skeleton takes larger amount of time, energy and skills compared to the later stage of development. Taking that initial step decides your destiny. After setting goals, you got to mandatorily lay the foundation stone in order to showcase your talent to the world. You might be fond of a motor bike ride but how can you ride if you don’t put your complete energy to give your bike a kick start? All the thrill that your ride gives you is hidden in that kick start. 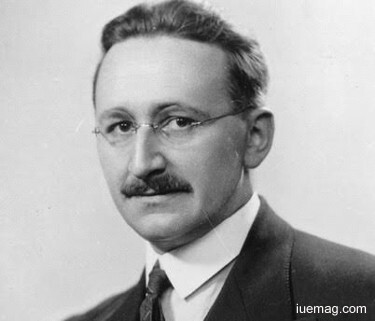 Friedrich Hayek laid a start to his growth. The Austrian-British economist and philosopher was famous for his defense of classical liberalism. His journey was designated with a lot of appreciation and recognition, which includes the Nobel Memorial Prize in Economic Sciences for his work in the theory of money and economic fluctuations. He stood as the symbol of courage to make a strong decision to take the first step to begin the rain of success shower upon him. Making up your mind is effective beyond all actions. He proved the same when he inculcated a desire to not repeat the mistakes which occurred while serving World War I. The scholastic mind was the first recipient of the Hanns Martin Schleyer Prize. Both the best and the worst are right there in our minds. Attaining the highest extent of sanctity dwells in aligning our thoughts away from negatives and directing them into the world of peace, contentment, liveliness and success. Every attempt to light this world with the glory of our victories further helps us to bring the entire world under the limelight of positivity and optimism. Though we take firm decisions to achieve, we hesitate because of fear. But you can chase away you fear by thinking big and visualizing the impact that your success would create. You may die but your achievements won’t. The change which you bring holds your soul high and the world may give it a respectable position. It is all because you earn it. Here is one such personality who served as a gem of wisdom to the society. 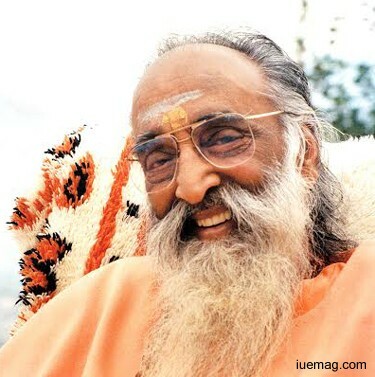 Swami Chinmayananda Saraswati was a Hindu spiritual leader and teacher who laid the track of righteousness for the world to follow. He inspired the formation of Chinmaya Mission, a worldwide nonprofit organization, to spread the knowledge of various devotional and spiritual matters which include Advaita Vedanta, the non-dual system of thought found in the Upanishads. His clear understandings revolutionized the philosophical teachings of the Vedas. The child prodigy started his success journey with his humble beginnings writing for a newspaper. Everything that we do will have a cause. All that we initialize has a reason. Our actions reflect our thoughts. The framework of our life is more like a chain. Every bead of the chain demonstrates a step closer to success. Dreams are the inside powers. They are the unseen forces which motivate, inspire, push and energize every action of yours. Nothing in this world can provoke you better compared to your aims and dreams because they form your life and decide your destiny. A journey is pathless if it is not governed by your desires. A travel for which there is no defined destiny is equal to a walk in the dark without any glimpse of light. Dreams torch your progressive life. The life of Gordon McClymont clearly shows that achievers grow because of the driving push called dreams. They aim and make goals their masters. The result is as expected, series of victories. He was an Australian agricultural scientist, ecologist and educationist who was the originator of the term- sustainable agriculture. 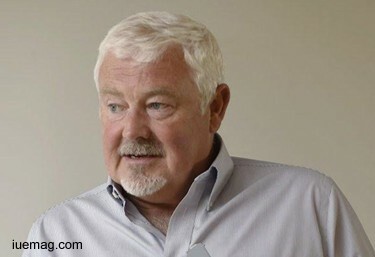 He served as the chair of the Faculty of Rural Science at the University of New England. Highly intellectual McClymont designed a broader, multi-disciplinary educational approach to the field of livestock and agricultural production. Not everything can be taught. Certain things can only be learnt by experiencing. What needs to be learnt is left to you. The most important characteristic that an achiever needs to have is to see with the hungry mind and spot all that helps your growth. Fetching it all and grasping its essence form the foundation for learning. Not all of us are fast learners but we are surely good learners so we are sure to learn and groom ourselves into professionals in our respected domain. In every aspect, every job that we undertake is an art, which is something to be learnt and not be taught. Hence, getting better at every skill that you have purely depends on how efficiently you learn, apply and rock. James H Kindelberger won by exercising dedication throughout his learning process. His urge to attain high level proficiency in all that he did became a pillar for success to rest. He asked himself about how he could make things better and hence, learned beyond what one could teach him. 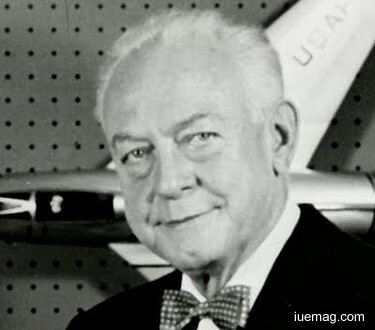 An American aviation pioneer led the North American Aviation. His ability to work hard and his disciplined attitude helped him earn the best of what he deserved. Beyond all the worldly comforts, facts and truths, there exists divinity which is a result of understanding yourself, fulfilling your desires and living a satisfied life. Add this as the first goal and make this your priority to become one among such achievers! Any facts, figures or references stated here are made by the author & don't reflect the endorsement of iU at all times unless otherwise drafted by official staff at iU. This article was first published here on 8th May 2017. 1 Most important trait that all successful people have!